Onirik ->	Culture ->	Interview ->	Dernière mise à jour : le samedi 9 septembre 2006. Ce talentueux musicien et chanteur a fait les beaux jours des années 80, 90, 2000 et continue non seulement de créer mais également de produire et de remettre au goût du jour ses plus grans succès. Il a très gentillement accepté de revenir sur sa carrière avec nous et nous offre la possibilité de regarder d’un autre oeil ce qu’il nous a offert depuis si longtemps. Nous publions d’abord la version originale, puis plus tard la traduction en français. Enjoy ! Onirik : Your music is very unique and popular because it mixes various references (reggae, pop, Caribbean music...), what were you trying to achieve in creating this unique style ? Do you see yourself as a forerunner or as someone trying to soak up the ambient mood by transforming it ? 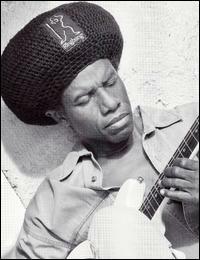 Eddy Grant : All of these influences are what makes up MY MUSIC, as they have all been instrumental in shaping my life. Although it may all sound a little strange at first, eventually people are able to find a little of themselves represented in the music, so then they reach out to the rest of it and get to like the whole. I could easily have attempted to be like all others, but my instincts told me that there would be no place for me, so I went my own way. Before me there was no one who made music in this way, so I suppose I would have to see myself as a forerunner. However as we all know, everything “new” is the sum total of one’s influences in life. Onirik : Do you think that this unique style acted as a drawback for you when confronted to the big movements that followed (such as reggae, etc) ? You are known for playing all the instruments on your songs. Which ones are they and why do you choose to play alone ? 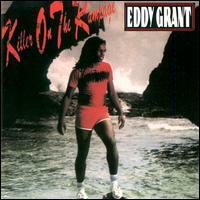 Eddy Grant : I never suffered a drawback when confronted by any of the “big movements” such as Reggae etc. as my music contained elements of reggae and all other forms of Caribbean music. Only the uneducated onlooker who was being driven by an uneducated media would want to suggest such a thing. Once those same people got to know me and what I am capable of doing musically, they normally would form a different opinion. I have been gifted with the ability to play any instrument(with varying degrees of proficiency depending on practice)but generally the instruments on my albums are Drums and all percussion, Bass Guitar, Rhythm and Lead Guitars, Piano and Synthesizer, Harmonica. Trumpet was my first instrument and I played that in my school’s orchestra, where I played classical music. I was forced into the decision to play all my own instruments, after having to put up with lateness and session musicians who had little or no appreciation, and or proficiency, in and of the different genres of music I asked them to be fluent in. After many disappointments and the stress associated with a bad end result, I decided to only use others if I absolutely have to, or in the case of friends who on the odd occasion would be present at one of my recording sessions and feel the urge to play. Onirik : You had a heart condition when you were very young and had to slow down on your musical activities. How did this particular event affect you as a person ? 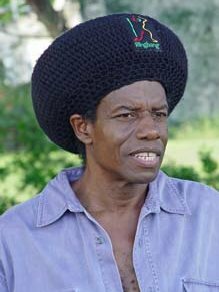 Eddy Grant : Anyone who has ever had a negative heart condition would tell you of how it changed their lifestyle radically. In my case I was twenty-three years old and probably the fittest I have ever been, so you can imagine what a shock it was to me, to find out that I was not as strong as I looked. It made me as weak as an old man overnight, and I was forced to reappraise my life and what future lay ahead. I decided that from then, I would live by my own terms, not HAVING to do anything, especially if I felt it would have a negative effect on my body. I left the band of which I was a member, (The Equals), spent a lot of time in Guyana with my Grandmother. I worked hard at getting well and strong again, and set about establishing a recording studio where I could continue my musical experiments in peace. Onirik : Your older songs are a mix of innocence and maturity but deal with sensitive subjects (such as racism, segregation, poverty) while keeping light tone. Is a way of getting your message through ? Which is your favourite song and why ? Which style are you the most comfortable with ? 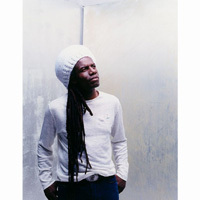 Eddy Grant : I pray to all the forces of nature that I remain as innocent as a baby and as pliable as a blade of grass, so that as all the aggression of a hostile world deals with me, I am able to rise again with greater experience, but equally as innocent as before. I have always been driven to write of life exactly as I see it and hope that those who listen would derive something from my words and music. Sometimes the words are tough and critical and other times soft and loving. More often than not when the words are tough and critical the music is happy. Life has to be about balance. At least that’s how I see it. Of my songs I have many favourites so it’s difficult to choose one. When asked this question normally, I tend to suggest that, commercial considerations aside, “WAR PARTY” has a special place in my heart. The others are much more obvious in their appeal. A writer could write songs all of his life and NOT write a song like “WAR PARTY”. This of course is only my biased opinion. Onirik : Your vocal style has changed a lot on your latest CDs. From happy and cheerful, your sound has become serious and committed, a little bit like a preacher’s. Is it something you have decided or is it part of your progress ? You talk about God a lot. Can you tell us about your faith ? 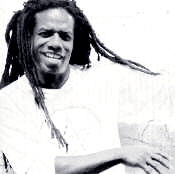 Eddy Grant : Unlike many other artists / writers I don’t feel compelled to be corporate in my delivery of music. I am driven by the songs I’m blessed with and the current environment surrounding them and myself. So if you find there to be some shift in “style” I can understand that, there has to be, or I would not be being truthful to my inspiration, then what would be the point of it all ? I can tell that you have listened to and loved my music, for which I thank you, as I do anyone who has taken me into their life through my music. For me it is all a journey of passion, with as little manipulation as possible, so that the listener can see right through to me. I am always passionate and always committed. I suppose sometimes, as in all other things, the voice will react to its current environment. Progressively, more and more, the concept of God is becoming an instrument of man/womankind, to do whatever they require, good or bad. Just look at the crazy situation in the world and you will see. Religion, I think, has finally managed to enslave human beings, as they find themselves on an emotional scrapheap created by themselves, in a useless quest for power over the rest of creation. We justify every terrible act we commit against nature as being in the name of God, even war amongst ourselves. We’ve almost destroyed or compromised everything that’s good in creation, as much as we can put our hands upon them. When I talk about God I am not talking about what mankind has created through the many religions, but whatever ‘force’ is responsible for the total order of all things living and unliving throughout all of creation. As you may have gathered by now, I don’t believe in man/womankind, or their supremacy, or their religions, or their systems. I think that in trying to find God, understand God, and in the end play God, they have embarked on a useless quest. Onirik : You commit yourself a lot to your home place (Barbados). Can you tell us a bit more about it ? Can you talk to us about your house ? Eddy Grant : Barbados as you probably know is not the country of my birth. That dubious honour goes to Guyana, a former British Colony in South America. However, I have lived in Barbados for the last 25 years and they have mostly been enjoyable. Barbados is quite a small island, but well respected for it’s educated population and its many years of political stability. Its main business is tourism, as its climate and beaches are naturally geared towards satisfying those tired bodies of the north who after a hard year of work find it ambience to be therapeutic thus preparing them for the rigors of a return to work in their home countries. Its people are special in their legendary hospitality to strangers and one’s security can almost be guaranteed wherever one goes on the island. I live at Bayleys Plantation in St. Philip on the East Coast of the island. The plantation was the site of the 1816 Rebellion, known as General Bussa’s Rebellion, after the enslaved African who led his people in an attempt to gain freedom from slavery on the island. Many were killed (including General Bussa) by the British Troops who marched against them from their station at the Garrison in Bridgetown. General Bussa was able through serious planning, to commandeer the forces of all the slaves throughout the entire island in this quest for freedom. In 1981 I purchased this plantation in a rundown state and restored it to its current pristine condition. I used the outbuildings to house my Blue Wave Recording Studios where I would go on to record all my subsequent hits and where many international artists such as Sting and the Rolling Stones, among many others, would also come to record. Onirik : You have four children, are they walking in your footsteps ? Eddy Grant : All of my children are involved in the entertainment/music business, but they are on the business side. Onirik : What would you rather do, make music or produce it ? Can you talk to us a bit about the artists you produce ? 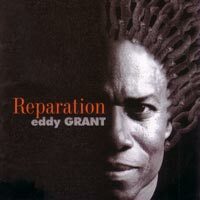 Eddy Grant : I would much rather make music than produce it though I enjoy producing for friends. Many thanks to the people who helped me in doing this interview. First my eternal recognition to Maria who’s working with Big Ed and managed all the stuff. Then, warm thanks to my friend Brigitte who has translated the questions in english for having a better communication between us ! 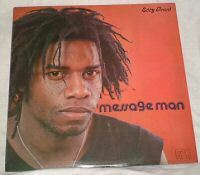 At last my faithfully affection to Mister Eddy Grant who enlight my youth, my teenager years, my adult life and my wiser years. A lot of love from France.